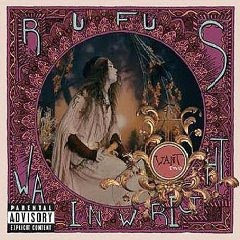 Another truly amazing album by Rufus, a companion piece to Want One, Want Two is composed of yet more amazingly composed and written tracks by Rufus. If anything want two is even better than its predecessor. The music goes from fantasy middle eastern music in track one to Philip Glass tribute in the Art Teacher to reggae inspired music to finish it off. Rufus is not only astounding in the amount of styles he uses in the album but they also change within the songs themselves. Want Two is one of those rare albums that is always a delight to listen to. Cinematic, heartfelt and beautiful it really shows what a well rounded musical education can do to a man. Want Two is, according to Wainwright, the darker sibling of 2003's Want One - its subject matter concerned with "the world we live in" (RW Geffen Bio) after Want One's focus on the intensely personal. The artist's song selections here show his range to be broad, veering from romantic ballad ("Peach Trees") to tragic ballad ("This Love Affair"), sophisticated pop ("The One You Love") to third person/first person narrative lament ("The Art Teacher"), personal tongue in cheek manifesto ("Gay Messiah"), to classical pop hybrid ("Memphis Skyline") and songs beyond category. "Agnus Dei" is used in the trailer for the 2007 film Trade.